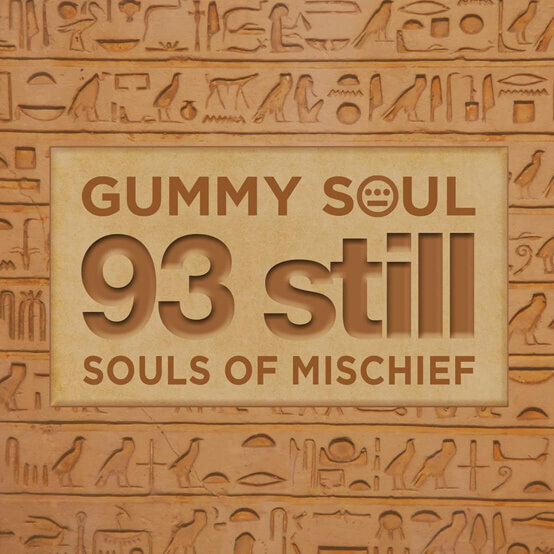 Gummy Soul return with “93 Still”, their latest hip hop album rework in celebration of the 20th anniversary of Souls of Mischief’s 93 ‘Til Infinity. Sony may have tried to thwart their creative efforts with Bizarre Tribe but you can’t keep a good man down and Wally Clark of Gummy Soul is back with a brand new album and a new golden age group to play with. In honour of the 20th anniversary of Souls of Mischief’s 93 ‘Til Infinity, Gummy Soul have created 93 Still using Wally’s wide ranging vinyl collection of jazz, soul and funk music to dismantle and remake a unique version of the LP. UPDATE: And here are the instrumentals.